Aston Martin Lagonda has named Penny Hughes as its first female chair as the luxury car-maker heads for a £5bn stock market listing. 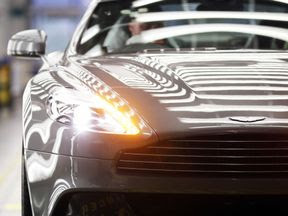 Aston Martin Lagonda also confirmed its intention to float on the London Stock Exchange. Ms Hughes' arrival, alongside other heavyweight business names, signals the company's commitment to corporate governance standards befitting its premium listing.